I’ve been wearing a lot of denim lately and i’ve been trying to branch out and find new styles that aren’t my typical dark wash skinny jeans. 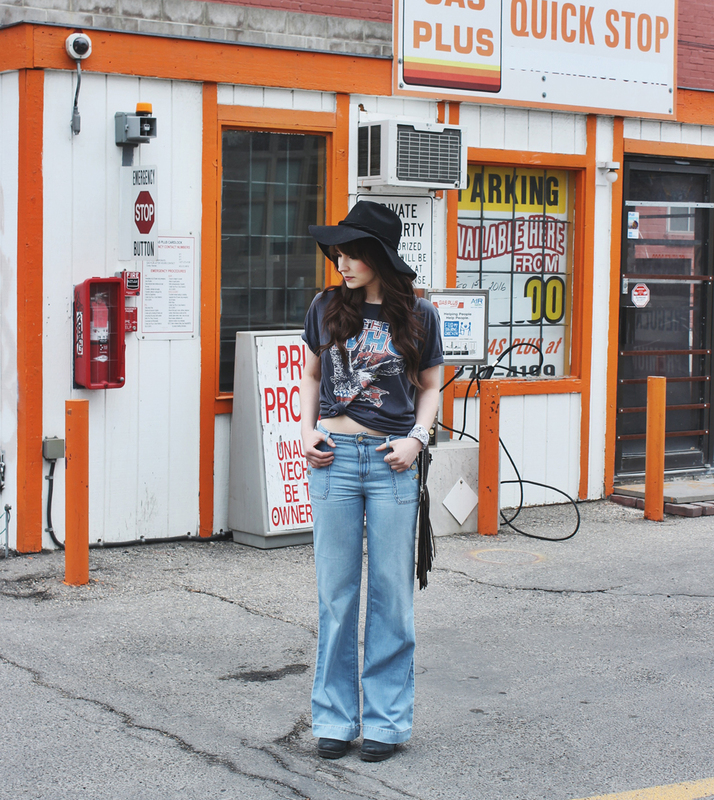 These wide leg jeans from Dynamite are my absolute favourite right now. I love the little buttons on the pocket and the light wash. These are very different from the type of jeans I normally wear but I feel like they fit into my wardrobe perfectly! I’m currently on the hunt for some high-rise flared jeans. 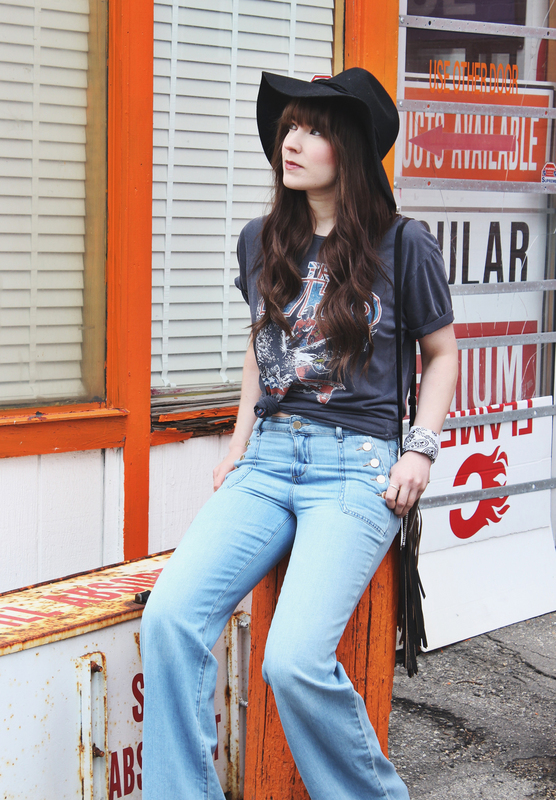 The rest of this look consists of this awesome “The who” band tee. I love it because it has a vintage feel to it that can be hard to find sometimes. 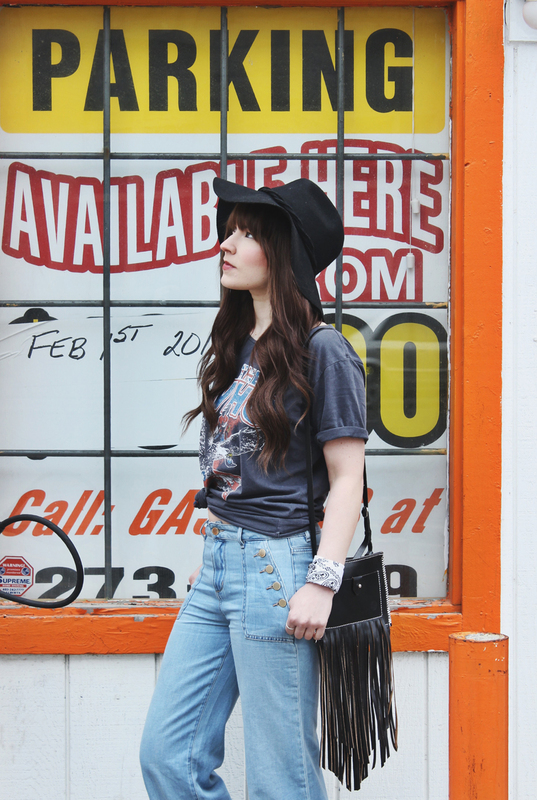 I’ve also added some of my favourite accessories, including this floppy free people hat and this fringe leather bag. Love this look and the jeans. I’m also trying to wear less of my skinny jeans and more of any other type of jean. 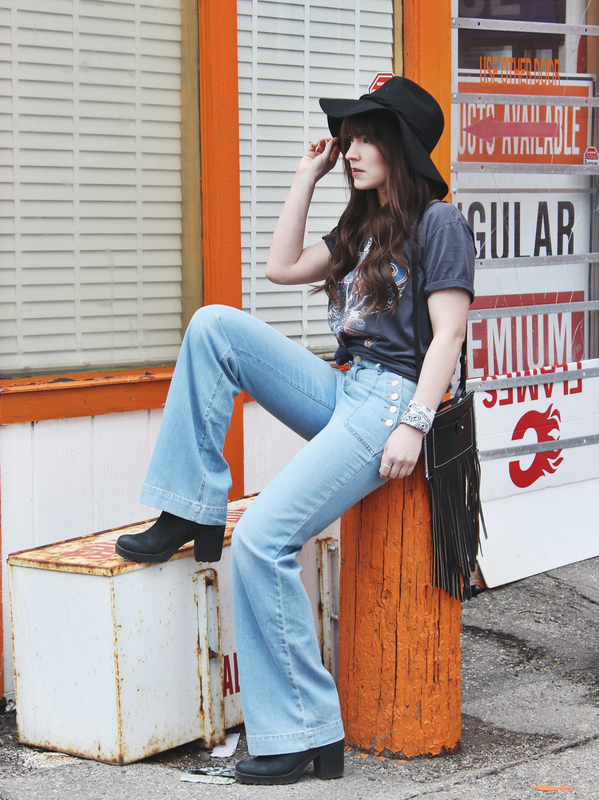 These great pics inspire me go on the hunt for a pair of jeans like these. Awe thank you! Ya it’s weird when your used to wearing the same style all the time but worth it! This is a great effortless stylish outfit. Great fit with the denim pants. Beautiful lady!